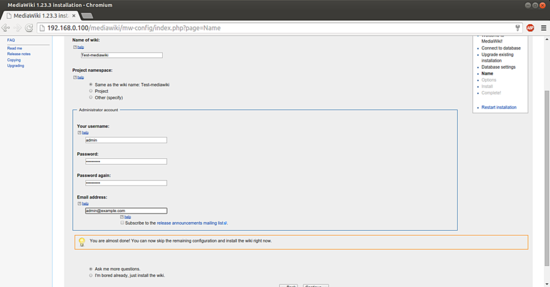 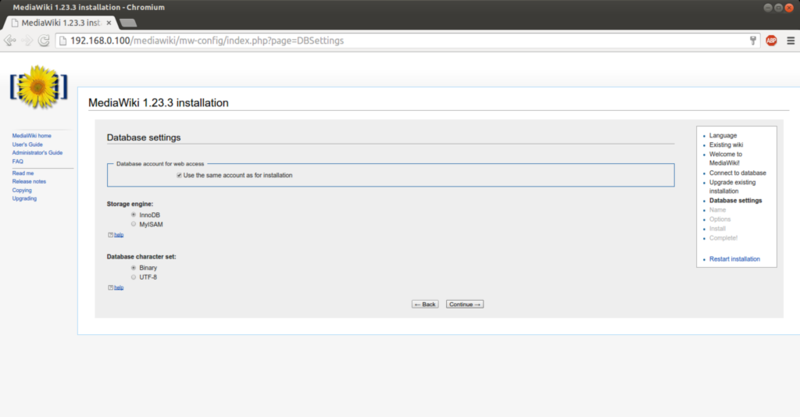 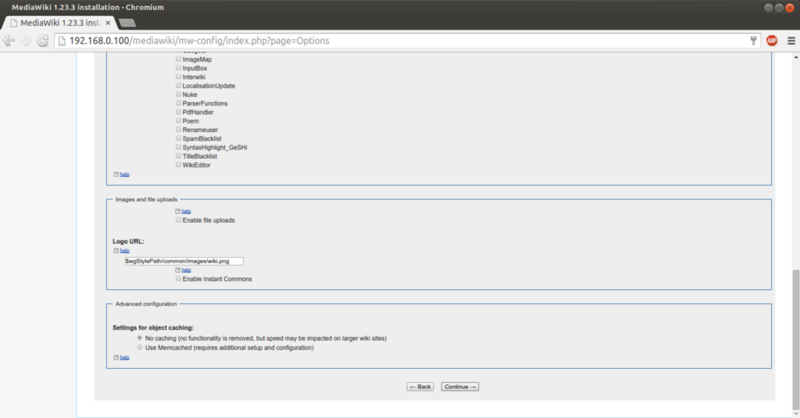 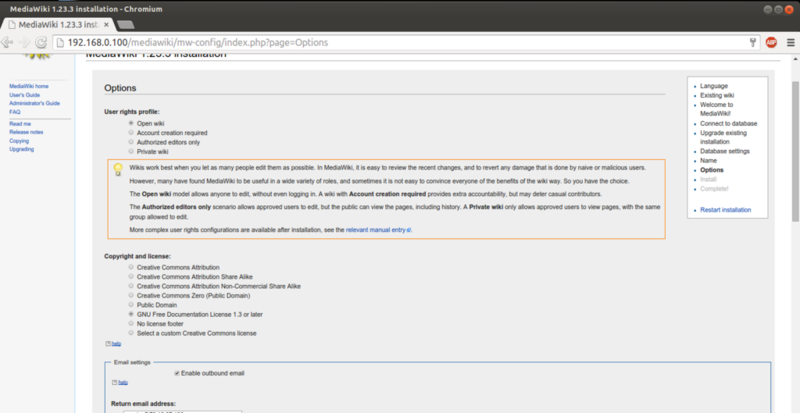 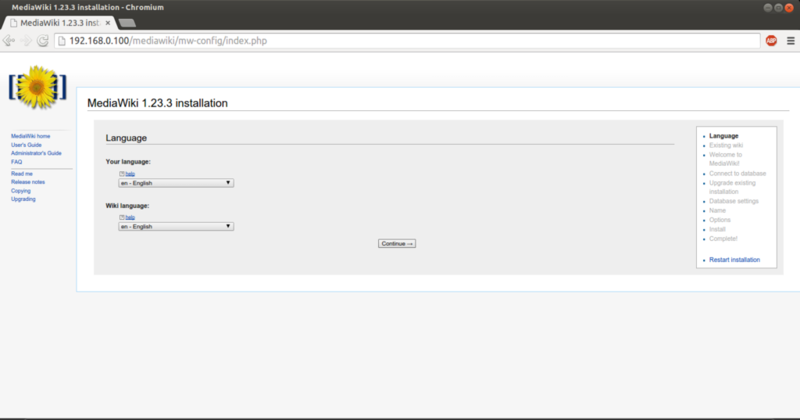 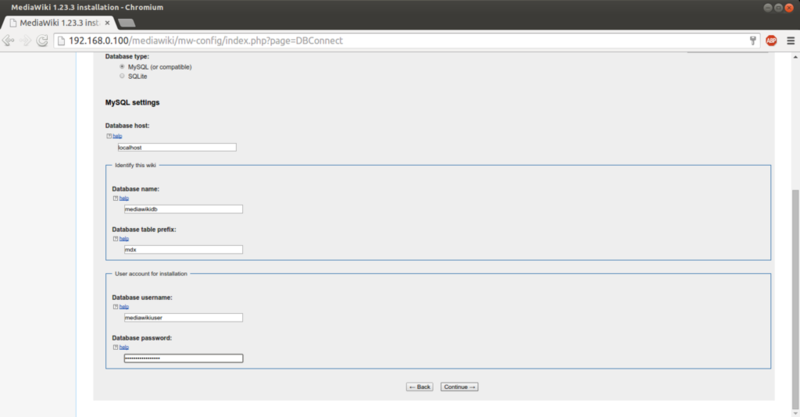 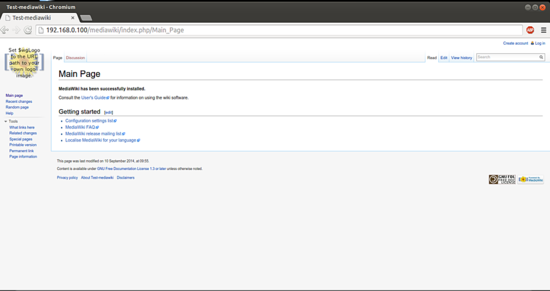 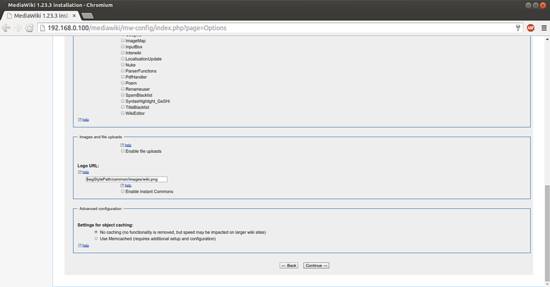 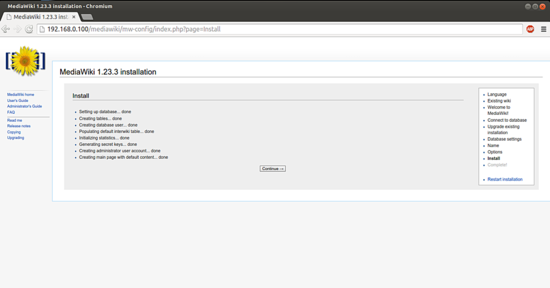 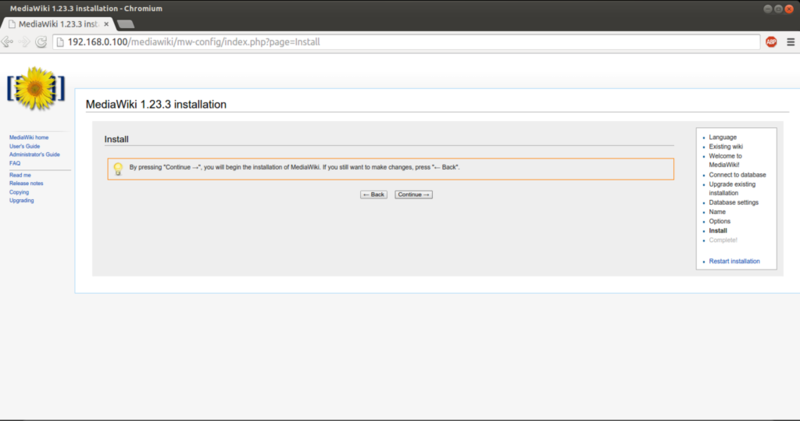 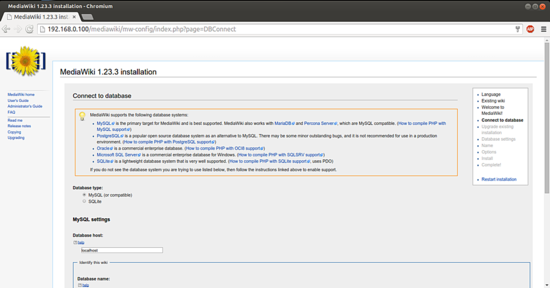 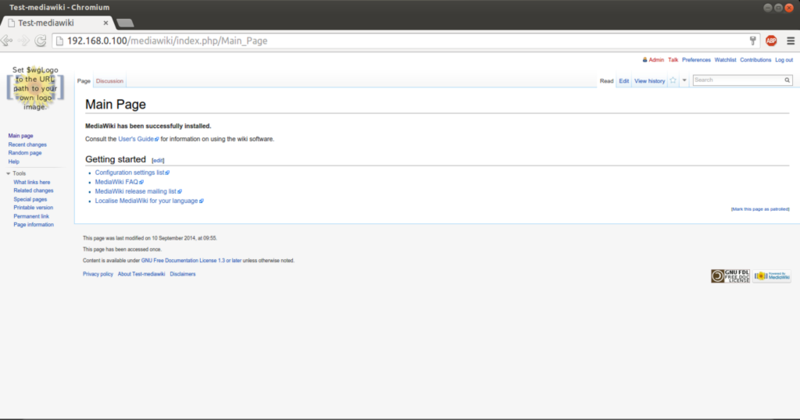 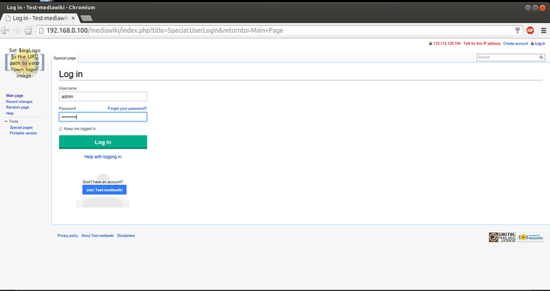 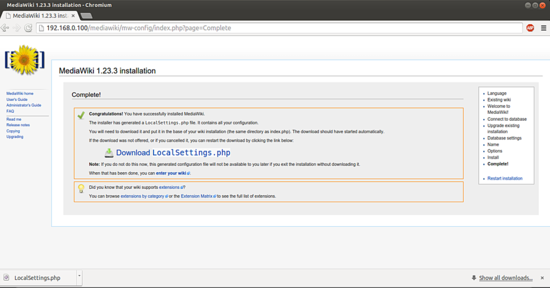 This document describes how to install and configure MediaWiki on Ubuntu 14.04. 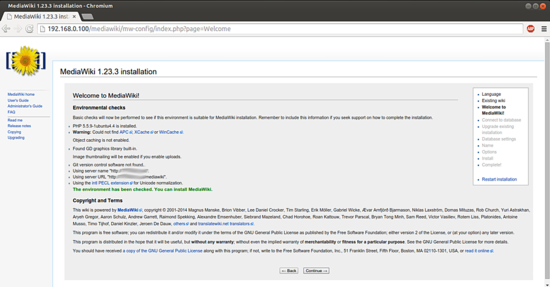 MediaWiki is free server-based software which is licensed under the GNU General Public License (GPL). It's designed to be run on a large server farm for a website that gets millions of hits per day. MediaWiki is an extremely powerful, scalable software and a feature-rich wiki implementation that uses PHP to process and display data stored in a database, such as MySQL. Pages use MediaWiki's wikitext format, so that users without knowledge of XHTML or CSS can edit them easily. 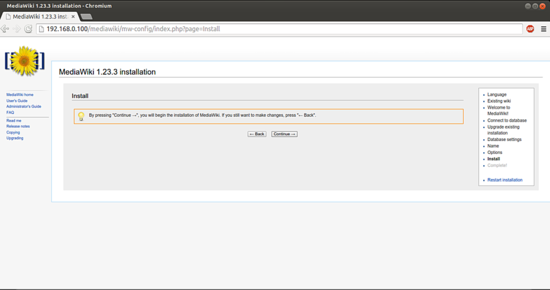 This is very very helful information. 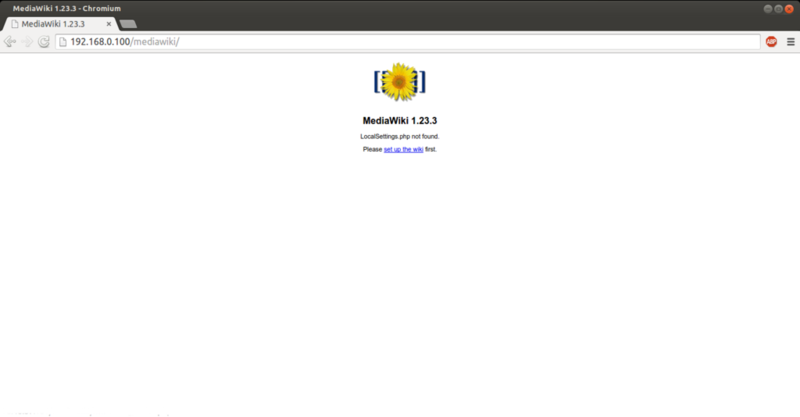 It helped me a lot for setup MediaWiki in our environment. Thanks.....!!!! 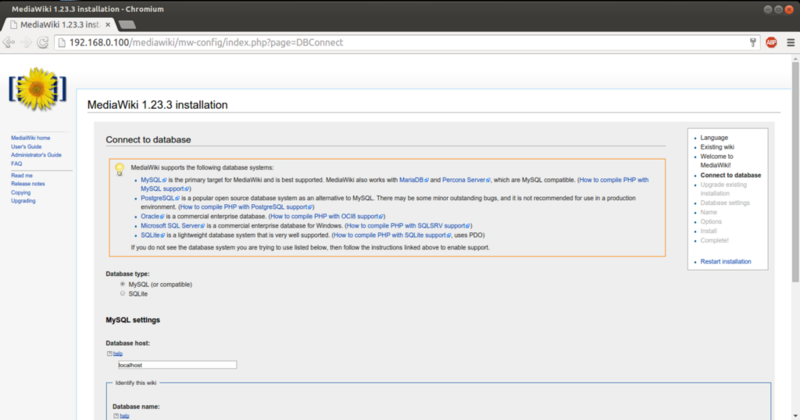 How to install MediaWiki on Ubuntu 14.04 as virtual machine image in ova format, compatible with vmware and virtualbox.